We shine the spotlight on the Notts towns worth a look if you're thinking of moving. Trying to get on that property ladder? Maybe you've landed the perfect job and it's time to find somewhere commutable, or you need to start thinking about the little ones. Warsop Carnival is a jewel in the crown of the small parish north of Mansfield. Whatever your reasons, let us find the right area for you. This week, we take a look at what Warsop has going for itself. Far enough from Mansfield to escape the busy town, and connected to the area mainly by smaller roads, Warsop has a peaceful separation from the hustle and bustle, although traffic going into town does build up at rush hour. Goose farm is a new 'exclusive' estate in Warsop - while typical properties are selling for 100-120,000 according to estate agents Bairstowe Eves. Prices are generally with the £100-120,000 and you can get a great size three-bed semi detached with off-street parking - some properties even with garages at that range. Rightmove says the average sales is for £125,155, making the village cheaper than both Mansfield Woodhouse (£136,373) and Clipstone (£135,087). There's a bank, bakers, butchers - some tremendous independent shops giving life to the centre. There's a planning application for a new supermarket. Oh and Boyes opened last year. Everyone was excited. Stop it, they were. With the M1 and A1 within reach, Warsop is convenient to get across the country. But as mentioned, traffic can get pretty heavy. Warsop is also famed for its spacious bus stops. (You may have to live here to get that one). Our adviser at a local estate agent touted the natural aspects of the area, with the river Meden running through the centre and good green spaces in town. Also, lest we forget, Sherwood Forest is right on your doorstep - access from private gates along the north end will give you a more personal walk, away from the tourists visiting the Major Oak. 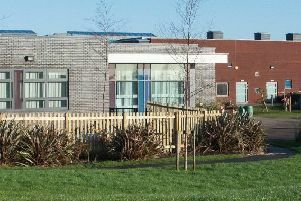 Meden School in Burns Lane, Hetts Lane Infant and Nursery School and Sherwood Junior School are all rated 'Good' by Ofsted, as is Church Vale Primary School in Church Warsop.